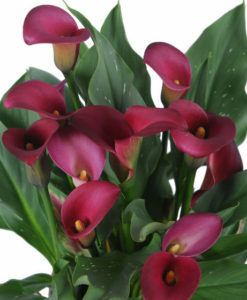 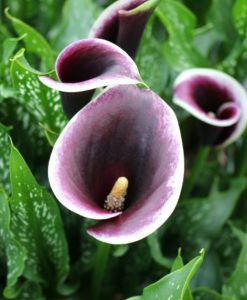 Zantedeschia Memories brings a new dimension to the elusive concept of black flowers. 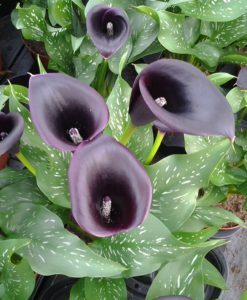 Not only is the flower black, but the breeders have achieved a remarkably dark nuance in the rest of the plant. 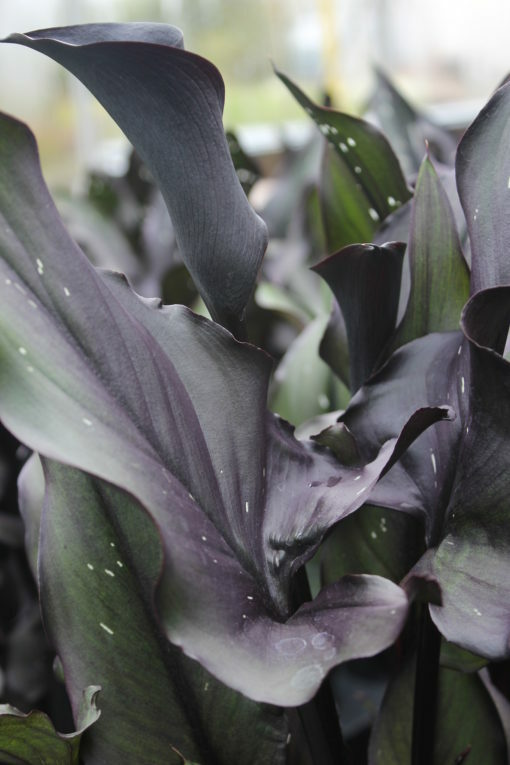 It has purple/black shaded green leaves and dark purple/black stems. 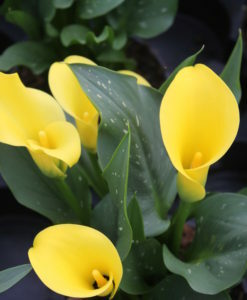 This is very unusually in Zantedeschia and does not exist in any of the 7 or 8 species. 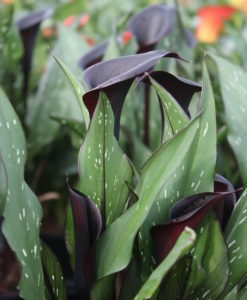 It has black flowers of a moderate size and a medium growth habit. 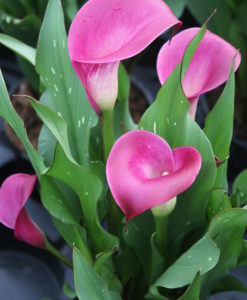 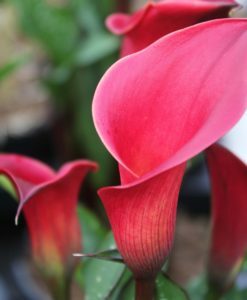 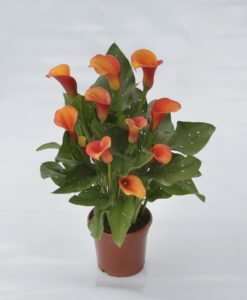 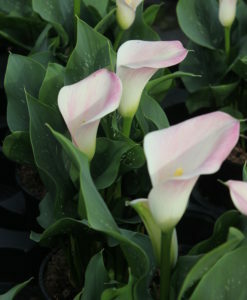 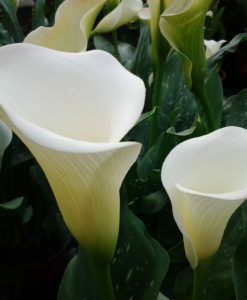 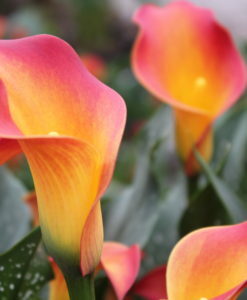 This is a timely innovation in the Zantedeschia world and this makes this variety very special. 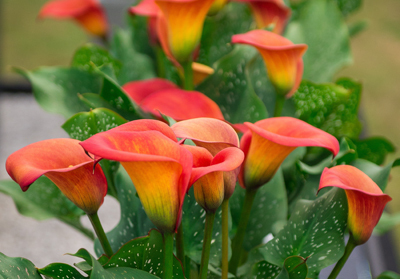 Shortlisted for Chelsea plant of the year 2014, Zantedeschia Memories has been named in memory of CNB Zantedeschia specialist Rein Wijnker who passed away in May 2012.